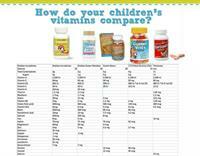 Shaklee is the #1 natural nutrition company in the US for 60 years. Our products are ''beyond organic'' as we guarantee purity, potency and performance...guaranteed. The Shaklee Life Plan is ''the best, most comprehensive nutritional system in the world." We also provide biodegradable cleaning products that are safe you, the planet, and will save you money at the same time. We have been doing this since before the word ''biodegradable'' was even in the dictionary! And the best water pitcher, which is the only pitcher certified to reduce 99% of the lead in water, along with many more contaminants than the brands found on your store shelf. Each filter keeps 600 water bottles out of landfills so you are drinking the best water, saving money and saving the planet. Everyone wins!